Binocular Type: UV. Focus Type: Manual. 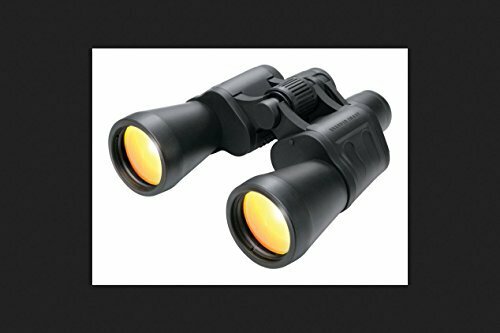 Field of View: 297 ft. 7x50 outdoor UV binoculars. Features ruby colored high-quality glass UV options for glare-free viewing. Ergonmic rubberized body for improved grip. Built-in directional compass for navigation. Center wheel focus control with a field of view 297 feet at 1,000 yards. Comes with a carrying pouch and 5-piece accessory kit. Integrated neck strap.